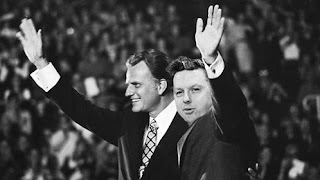 Weeks after the passing of famed American Evangelist Billy Graham, executives at the organization he founded were stunned to read of the successor Graham laid out in his will. Billy Graham Evangelistic Association President Franklin Graham announced that Toronto native Shawn Cuthill had been chosen by his father to head up the ministry. "It was a shock to all of us" said a visibly dejected Franklin from their ministry headquarters in Asheville, North Carolina. "I've never seen this Cuthill guy wear a tie and he barely gets to church on time!" the younger Graham huffed at a hastily organized press conference. "Every day this clown either wears a Flyers jersey or a Salvation Army hat. How is he ever going to be ready to preach to millions?!" 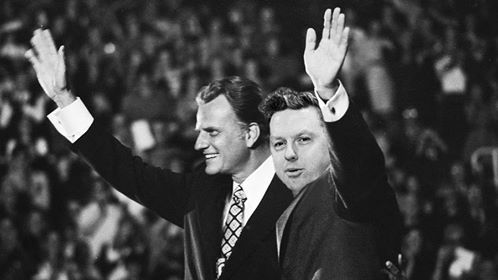 Evangelical backlash was swift in the US, as many denounced the unorthodox Canadian choice. Cuthill is a little known Toronto pastor who can be found mainly in the inner-city rapping with gang-bangers or giving Christmas presents to Muslims. Chick-fil-A immediately pulled their support for the ministry. "He looks more like a homeless person than a preacher!" tweeted @redstateforjesus, one of many negative tweets directed at Cuthill. "I heard he spends almost all of his time with non-Christians. He hasn't even released his birth certificate yet!" raged @trutherteaparty, creator of the hashtag #CutHELLNO which was trending #1 worldwide. Cuthills wife Hayley though was praised by the evangelical establishment, being compared to Ruth Bell Graham and Mother Theresa. She was even born on Christmas and grew up on an island named after a Prince. In an undated photo found attached to Grahm's will, Cuthill is seen on stage with Graham waving to thousands of onlookers. It was not immediately evident when the photo was taken as the photographer had only written the date on the back: April 1!! Congrats on this Honour....loved that April was able to snap this photo at just the right time...Does Ms First have an e-mail address? We must thank them! Noting the date of the post, I was prepared for this to be a joke. HOWEVER, Having led a group of college students on a mission trip to a Toronto, some years back, I was hoping it might be true. Thanks to Kim Wyatt, we were privileged to work with you in your ministry. It was an incredible experience!